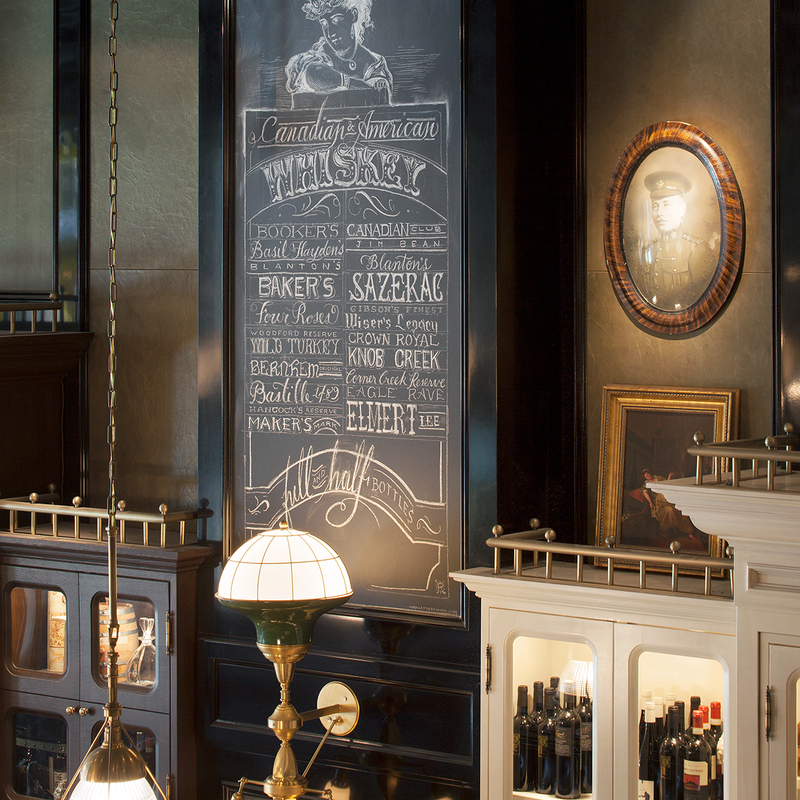 Located in the heart of Toronto’s entertainment district, Weslodge offers a unique dining experience inspired by the spirit of a traditional Western saloon. Studio Munge’s design concept injects a sense of “polished grit” by taking elements of a cozy, smoky tavern and incorporating luxurious finishes and authentic accessories. 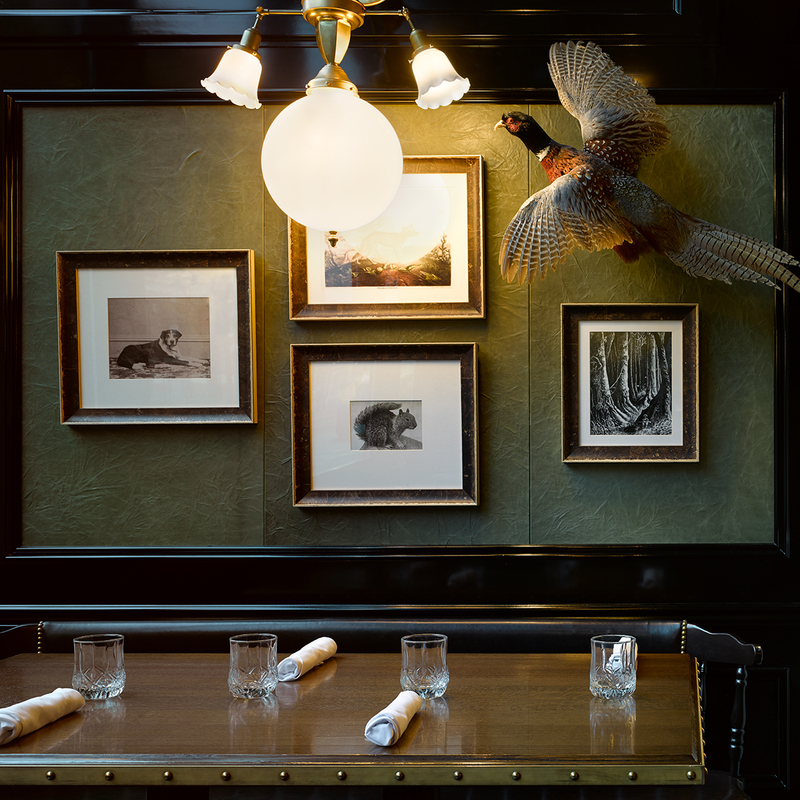 Featuring a collection of vintage photographs, hunting relics, classic spindle chairs and traditional saloon cabinetry, the energy within Weslodge is warm and inviting with a distinct edge. 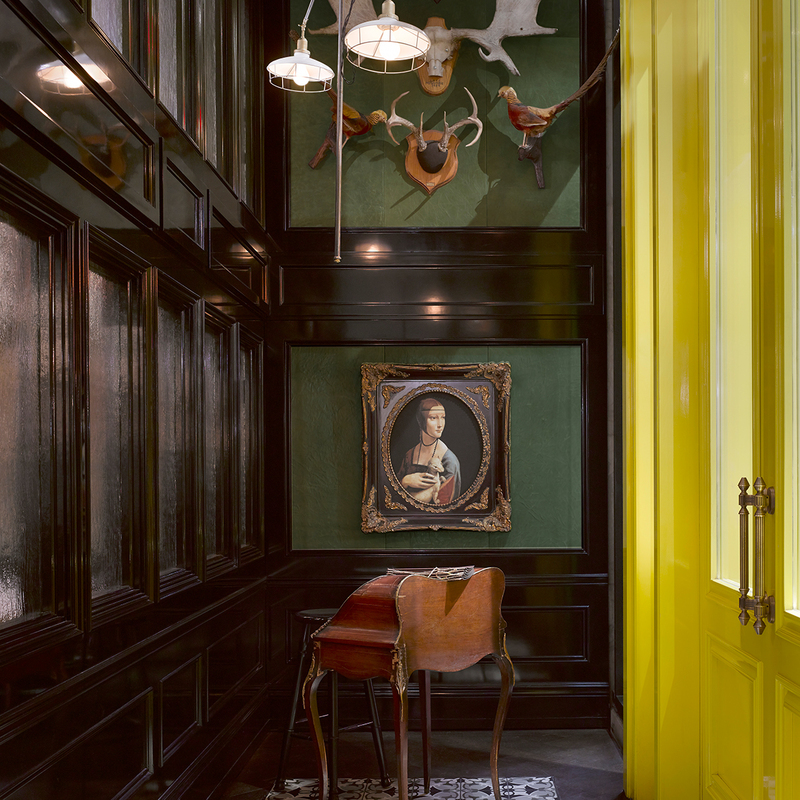 Striking high-gloss yellow exterior doors welcome guests inside the space, highlighted with rich wood, luxurious leather, gloss-black millwork and bespoke light fixtures. 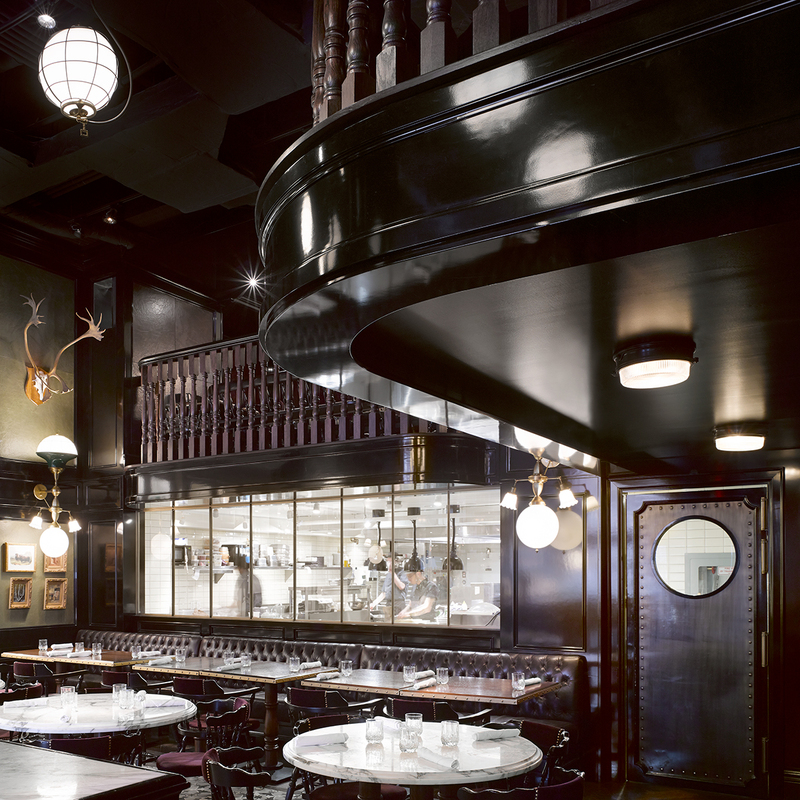 In a highly customized FF&E program, Studio Munge designed each piece of furniture, including all light fixtures, classic spindle dining chairs and the main 1930s style bar, the centerpiece of the restaurant. 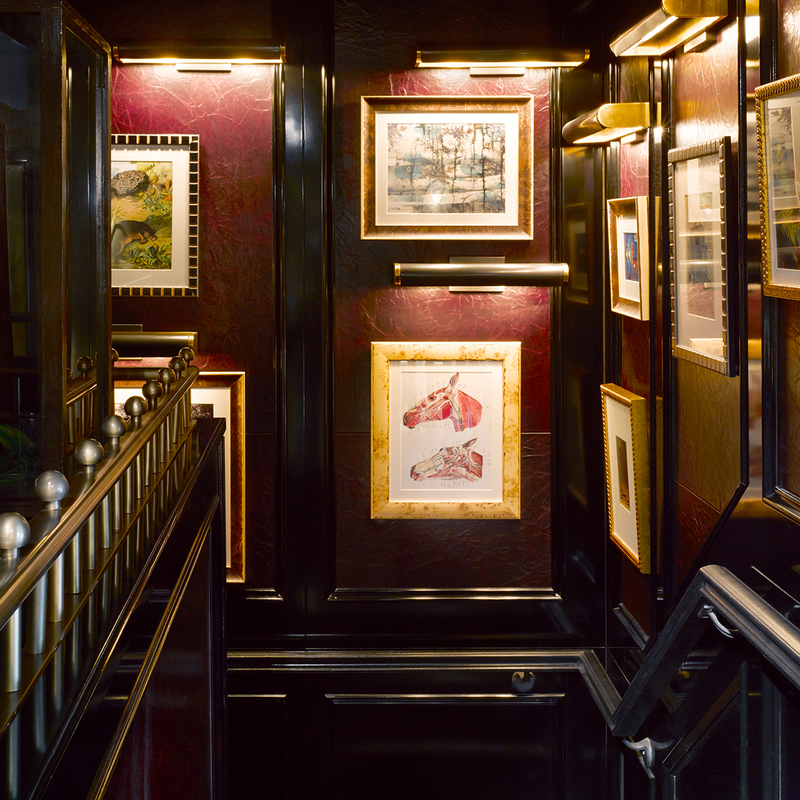 "They [Charles Khabouth and design partners] made their modern saloon the opposite you expect it would be. They made it fun and gorgeous."